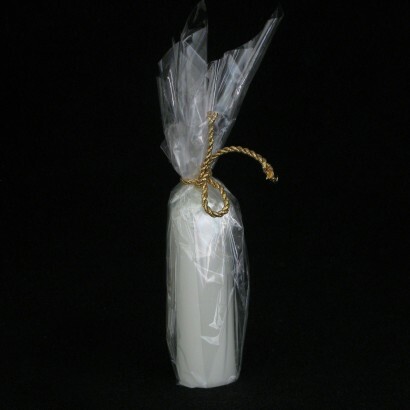 A traditional candle with an unusual twist, these 14cm tall pillar candles glow in the dark! Appearing a creamy white in the light, these charming candles appear as standard pillar candles, but turn out the lights and they will glow with a green afterglow throughout the night! Perfect for creating striking displays, bunch a number of glow candles together or highlight displays of standard candles for extra magical effects. 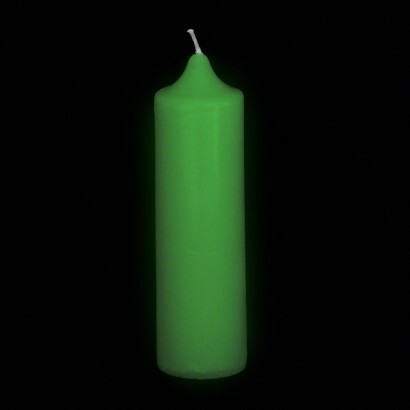 Simply expose to artificial or natural light to allow the glow candle to "charge" and the candle will glow in the dark with a green afterglow that will appear brightly at first and then fade gradually over time. Now that's a dinner party piece! Please note that the candle will not glow in the dark if it is not exposed for at least 20 minutes to artificial lighting or natural light prior to showing the expected effect. The more light the candle is exposed to, the longer the afterglow will last.